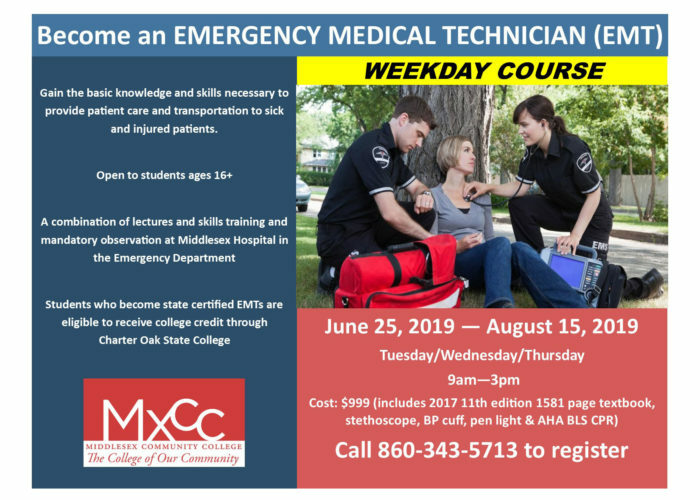 Gain the basic knowledge and skills necessary to provide patient care and transportation to sick and injured patients. A combination of lectures and skills training, as well as mandatory observation at Middlesex Hospital in the Emergency Departments. 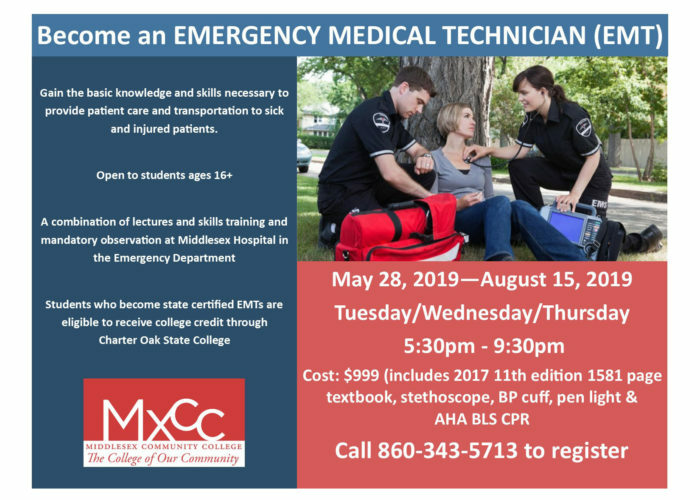 Students who become state certified EMTs are eligible to receive college credit through Charter Oak State College.